For additional info on eligibility and pricing, check out these NumberShare FAQs. All images are mere examples. User experience, prices and available devices may vary. Not all steps below apply to every NumberShare capable device. Apple® Watches cannot be unshared from the host device (e.g., iPhone). 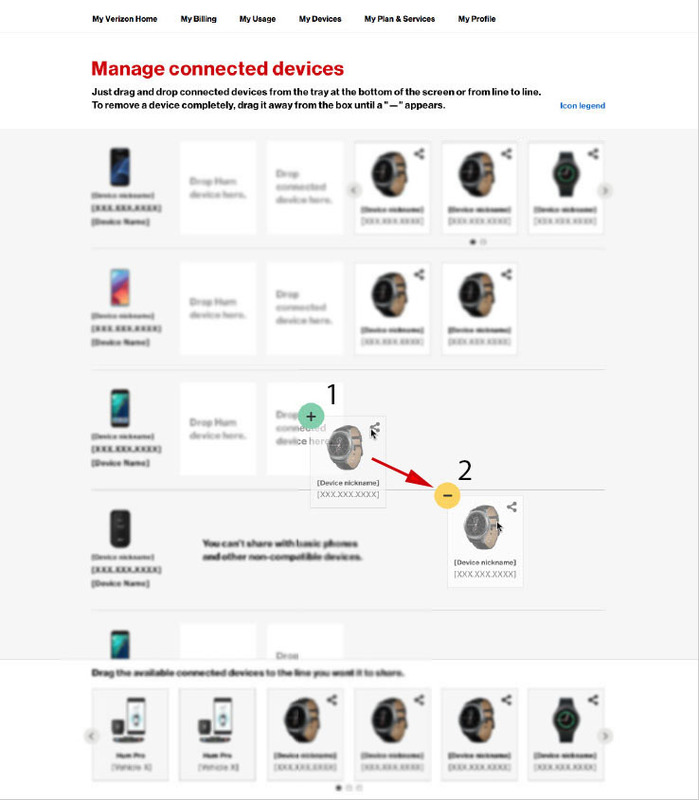 From a web browser, visit the Manage connected devices page. 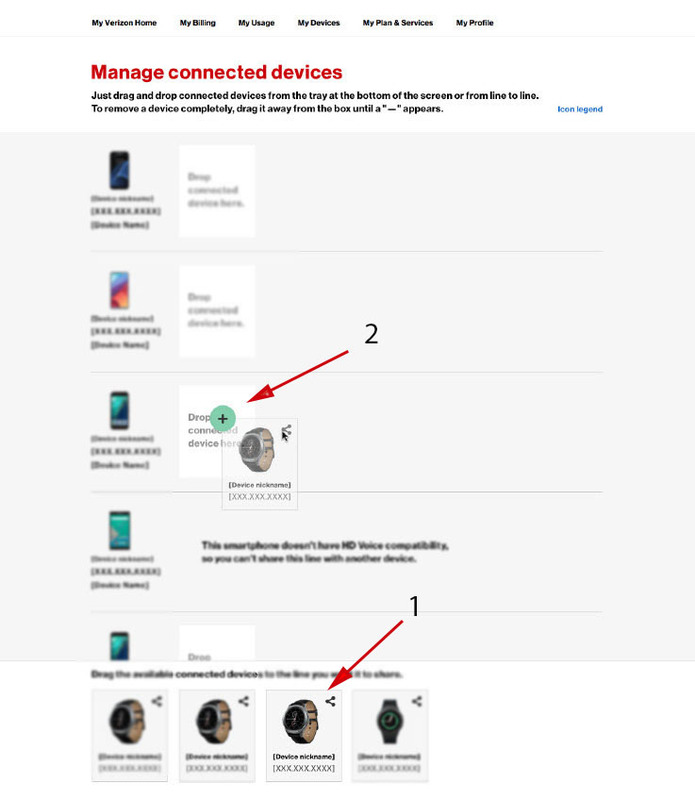 If signed in to your My Verizon Account, navigate: Devices (top-right) > Device Overview > Click the preferred phone number or device > Manage connect devices. Drag and drop an available connected device from the tray located at the bottom (1), then drag to the desired line until a plus sign appears and release (2). Click a shared device and drag it away from the box until a minus sign appears, then release. For Apple® Watch Series 3, you must drag to another iPhone (must be shared at all times).